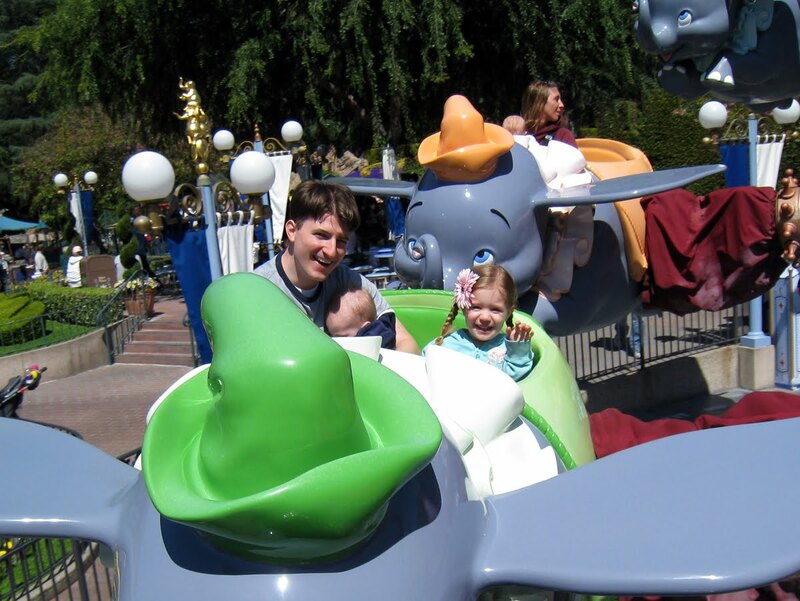 It's been two years since our last visit to Disneyland. 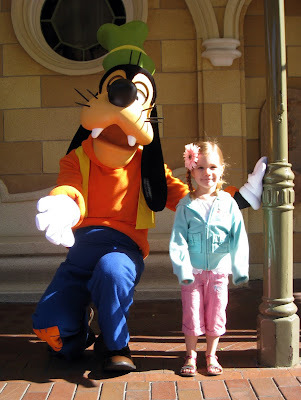 Ava didn't really remember the trip and was super excited when we told her we were going back again. Our first day there started out perfect. We had just walked in through the front gates when Goofy and Mickey Mouse appeared out of nowhere. 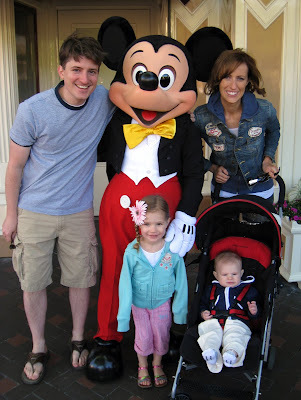 We knew that Ava would enjoy seeing the Disney characters, but didn't expect Christian to get so excited too. 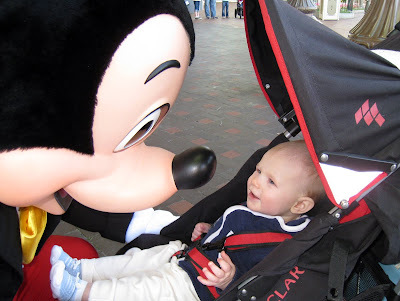 Mickey really took a liking to our little guy. Here's the whole family with Mickey. Guess we were under-dressed for the occasion. 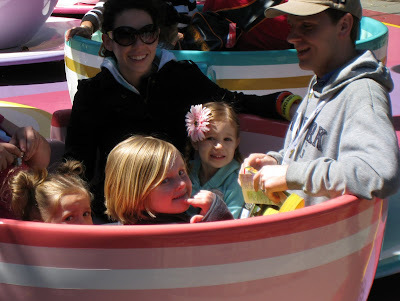 The last time we visited we did not get a chance to go on the Finding Nemo Submarine Voyage ride. So this time we headed there first. It ended up being one of Ava's favorite rides of the entire trip. After terrifying Ava on Snow White's Scary Adventures (guess it's called scary for a reason), we decided to go on the much more kid-friendly Dumbo the Flying Elephant. Christian had fallen asleep while we were in line, but Ava had a blast. 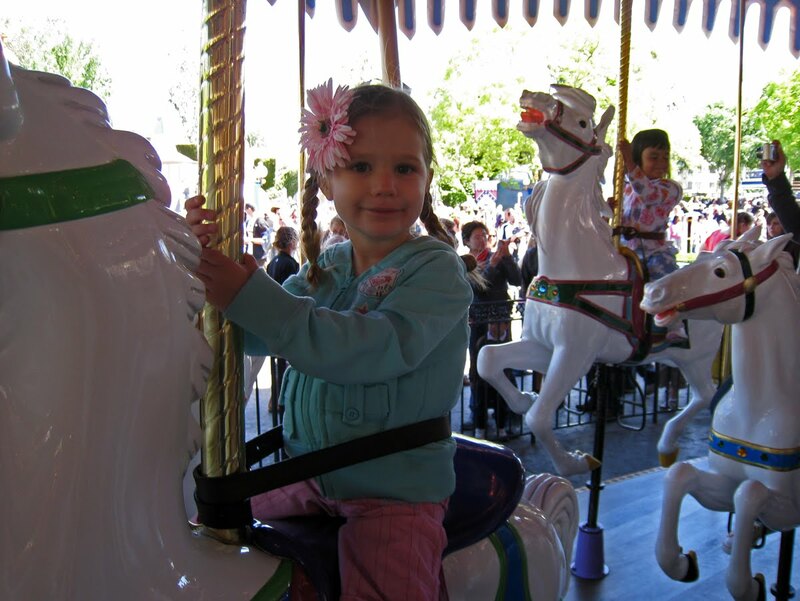 Here's Ava on King Arthur's Carrousel. 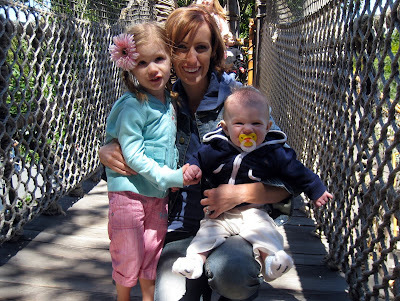 And here's Krista and the kids exploring Tarzan's Treehouse. Ava was a little nervous about posing for a picture on the rickety and swaying rope bridge. Christian, however, thought it was exhilarating. 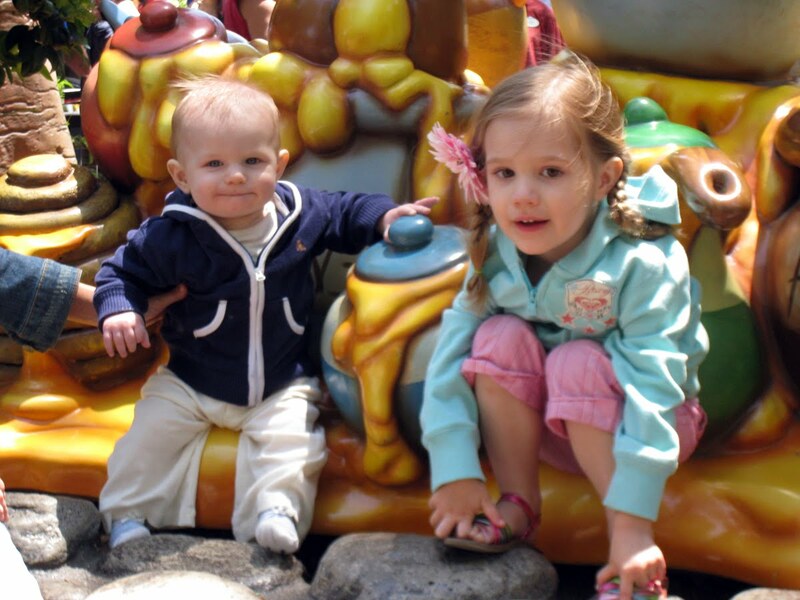 Of course we had to take the obligatory picture of the kids sitting among Pooh's honey pots. We ended the day with the Olsens making our own pizzas at PCH Grill. Ava took her pizza-making very seriously. What a fun trip---I can't wait to see the rest of the pics! The cutest kids! Boo, I love your hair. It's the first time I've seen it since we did it, and it's so great!! Fun!! Someday we'll go there!! Krista I love your hair!!! Looks very good!!! I'm excited to see day2!! What a fun trip! Love the pictures. Can't wait to see the rest of your trip. Krista, by the way, your hair looks adorable! Krista your hair is so so cute! I love Disneyland! 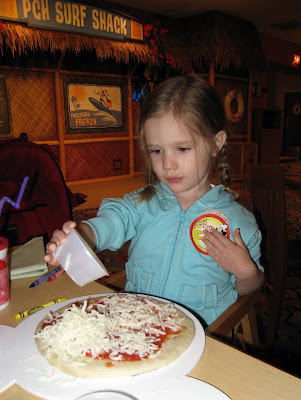 Sorry to your kids but the most interesting thing about this post really is Krista's hair! I think it looks great and makes you look so different! I think I would be too chicken to ever go a totally different shade but I like it. Also at the beginning of the video I thought it was going to be a "how babies are made" type thing. When my parents took us to DisneyWorld when we were younger we accidentally walked into a movie about that and it was a little awkward.